As an elementary school student, I rode the school bus to a lovely, old two-story, brick school with a belfry. Children from throughout our rural neighborhood, as well as those from within walking distance, formed the small student body in that lovely old building. 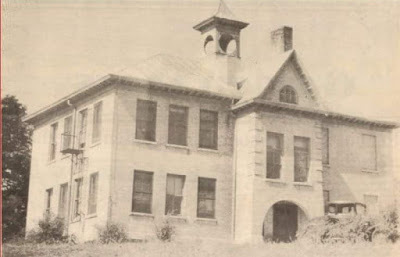 The school stood on a lot the size of a city block. There was a big field for running, a playground for swinging, an asphalt area for jump roping or playing hopscotch, and a big sledding hill. The grounds were plentiful with trees, ideal for incorporating into our imaginative recess games or for scooping up autumn leaves to make into leaf forts or houses. Among my favorite elementary school memories from those simpler times was the making of Valentines for our parents and the decorating of shoe boxes to hold the Valentines we would receive from our classmates. 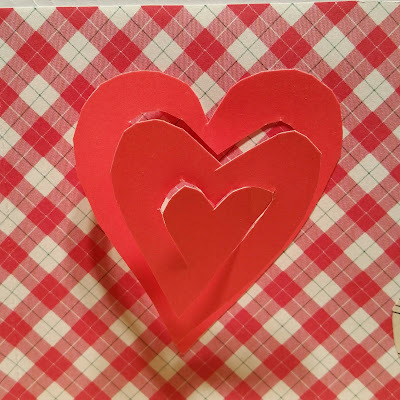 Valentines for our mommies and daddies were usually fashioned of red construction paper carefully traced and cut into heart shapes with little scissors. A heart-shaped paper doily would often be glued to the construction paper as the next step. Then, we would select small squares of tissue paper in various pastel hues and, using the blunt eraser end of our pencils, carefully wrap the tissue squares around the end of the pencil to form little flowers. The flowers would be glued into place with a spreader dipped into school paste. Sometimes, those little tissue flowers would form yet another heart on top of the doily. A "Happy Valentine's Day" message spelled to the best of our abilities in crayon would finish off our creations. Decorating a shoe box to hold the Valentines from our classmates was another enjoyable and much-anticipated classroom art project. Using wrapping paper and construction paper, along with more doilies and tissue paper flowers, we created vessels to hold those precious Valentines selected for us by our little friends. Sometimes, the Valentines would be handmade, while at other times they were purchased in a store. The handmade ones were always a favorite. When was the last time you made a Valentine? Might this be the year to make such a gift from the heart? I made valentines for all of our grandchildren last year, with construction paper hearts and handwritten reasons why I love them. Each one was different with pop up hearts and sayings. I don't know who enjoyed them more. Them for receiving to them, or me while making them. I love this idea! What a delightful way to show your love to your grandchildren! You've created one-of-a-kind keepsakes for them. Thank you for sharing.